Whether you have a band and want to do audio recording, mixing or production, or simply want to be able to make some beats with ease, you need a couple of crucial pieces of equipment. A good laptop or desktop is a must, as are monitor speakers and a good pair of studio headphones. But what about software? When it comes to the music making software, many online articles seem to skip this part and focus solely on the hardware needed for producing music. So, how do you find the right one? What makes the best music production software out there? Here is a quick overview of the best music recording software packs we’ve chosen. Now let’s see what makes each of these programs the best audio editing software options out there. Fruity Loops is the first DAW I’ve had the chance to come across. I was probably 15 or 16 when I started getting interested in making my own music on the computer. As this program has been around for quite some time, no wonder that it’s what first comes to mind for most people when you ask them about a good audio editing software packages. With all the basic tools and options, you can easily copy, cut, paste and stretch the tracks, as well as give them interesting effect layers. The interface is special because of the user- friendly vibe it gives the moment you start the program. Don’t let the name and looks fool you, as you really can make a masterpiece in Fruity Loops. Just check out FrankJavCee on YouTube and you’ll be amazed by the possibilities of this digital audio workstation. As the go- to electronic music maker and basic editing software, Fruity Loops shows that even with a rather minimalistic approach, you can do a lot. We would definitely recommend this DAW to any newbies out there, looking to start making, editing, and mixing music on their computer. 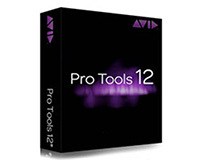 Considered as the standard in the world of the best recording software packs, the Avid Pro Tools definitely justifies the “Pro” part of its name. As there are whole courses and school programs dedicated to mastering this DAW, it’s clear that this is something the experts and professionals would gravitate to. If you own a powerful laptop or desktop, Pro Tools is the best music editing software to complement your hardware. It gives you a blazing fast processor, alongside a 64bit memory feature, to avoid any freezes or lags. It was first designed as a software pack for Mac computers but is now available for Windows devices as well. What sets this DAW apart from others are the more advanced features. Elastic Pitch allows you to easily correct harmonies, and you can even change the tempo of any track you want by simply “time- stretching” it. These are, of course, just some of the many useful options Pro Tools have to offer. 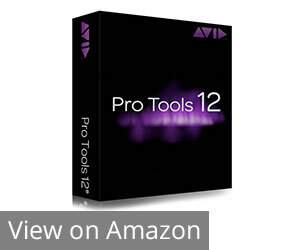 If you are an experienced music producer and need the best music editing software out there, Avid Pro Tools is the way to go. With unparalleled performance and a plethora of unique features, it’s something a professional studio must have. Yet another studio recording software oriented towards beginners, Garageband by Apple offers a unique approach to music making. Unlike Fruity Loops which is more suitable for, primarily a beat maker software, Garageband focuses on more traditional instruments. A pleasant and user- friendly UI shows not only the most important parameters but also the instruments you’re recording, in order to help you visualize and feel the music much easier. As it’s compatible with both OSX and iOS (7 and up), you can even use it on your iPad, making it a perfect solution for musicians on the go, or live performances. Recording vocals, guitars, or synths is a breeze, as the app gives you real-time information and editing options at all times. 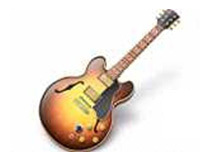 Besides the standard recording options and basic mixing features, Garageband also provides useful beginner guitar and piano lessons, as well as a keyboard for practicing. Probably the best thing about this DAW is that it’s free. Though you can individually purchase additional plugins and effects, the basic program is more than enough for most users. Garageband, being a solid recording and music- learning software is a great choice for your kids, or yourself, if you’re only now getting into the world of music and instruments. As the best free DAW, it’s certainly worth downloading. 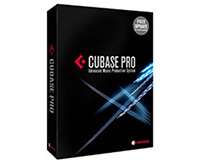 As one of the most commonly used music software pack, Cubase definitely has a lot to offer. 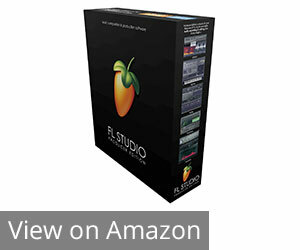 I’ve mentioned Fruity Loops as the first DAW I used. Cubase by Steinberg was the music mixing software of choice in the studio I’ve worked in for 3 years. Being somewhat of a newbie, as I’ve only used FL to that point, switching to Cubase wasn’t really an easy task. Having a steep learning curve, you’ll probably find this music program hard to get used to in the beginning. However, once you’ve figured out the basics, shortcuts, and where most of the options are, you’ll find that mastering this program is very rewarding. The recording process is fairly simple, and although the interface may look a bit cluttered, the amount of control in your hands compensates for the somewhat messy visual experience. Tracking 2 guitars, a bass, the whole drum kit and separate vocal channels in the studio I’ve worked in was a piece of cake using Cubase. It can probably take up even more channels, that is if you give it enough computing power, as it can get a bit resource- demanding. With all the useful options and an included sound library with a bunch of different drum kits, effects and EMD construction kits, Cubase is definitely one of the best audio recording software options out there. Just be patient in the beginning, and soon you’ll be the master of mixing and producing. 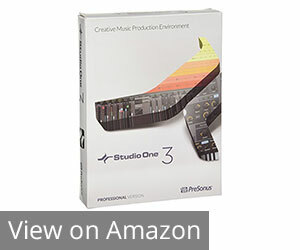 As a music producing software PreSonus included with a lot of their devices, Studio One offers a great environment for recording and mixing. A lot more than simply an add-on to the PreSonus products, this music studio software is a full standalone DAW featuring recording on unlimited tracks, a bunch of useful VST plugins and effects, as well as a solid MIDI controlling program. While it may seem that Studio One offers the same features like most other similar programs, what makes it special is the flow you can achieve by using it. 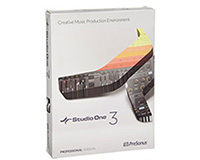 Unlike competitor software packs which can get complex fairly fast, Studio One is way easier and more fun to use. The sound quality you get is amazing, as well as the overall performance of this software pack. The 64- bit sound engine delivers studio-grade recordings, with some of the best sounding effects out there. The reverb, for example, sounds almost perfect, and the included Melodyne feature is a nice touch to an already well- rounded program. If you’re looking for the best free music making software, with a slightly more in- depth approach than the Garageband, look no further than the PreSonus Studio. It’s capable of getting things done in most cases, and it’s both Windows and Mac compatible. There’s a free version you can use, and if you like it, you can get the advanced one for around $400. Though not that well known as the other competitor companies, Cockos, a small group of coders, made a surprisingly good DAW. 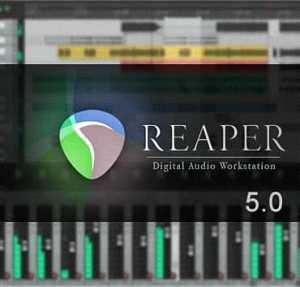 Let’s see what makes Reaper one of the best music making software solutions out there. The interface is pretty simple. A track control panel on the top, and the mixer control panel on the bottom provide a clear overview of the work in progress. A bunch of different VST plugins is supported, which you can browse through and download on the Cockos forum. All of the plugins are easily customizable, so you can get creative even if you don’t know how to make plugins yourself. What sets Reaper apart from other DAWs are the detailed freeze and render options, effects for both MIDI and audio inputs, and various other unique features. As you can download this program from the official website for free, and use it for 60 days, there is practically no reason not to try it. If you grow to like it after the trial period, grab the full version for just above $50. 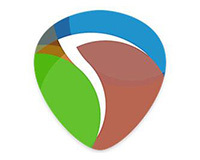 Reaper by Cockos has made a firm statement that the best music software doesn’t necessarily have to come from a big company. Having all the necessary options and features, and more, at an affordable price point, makes the Reaper the go- to recording studio software if you’re on a tight budget. With the first version released back in the early 2000s, Acid was very widely used. But how does it perform now, with all the competitor music program options in mind? Rocking that old-school vibe, it’s definitely going to satisfy the older part of the audio engineer crowd. If you’ve had the chance to use it back in the days, chances are that it will still be the DAW of choice for you. A neat feature Acid has implemented is the auto- sync of imported loops, making the job of handling multiple tracks in a project much easier. 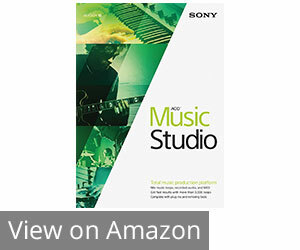 Sony focused heavily on making the most used operations and tasks as easy as possible. Since the 2000s, the mixer has been heavily updated. Balancing and routing, as well as all the elementary tasks, are a piece of cake with the new and improved version. With multiprocessor support, even the most resource- heavy operations are dealt with in no time, and the expanded format support round Acid up pretty nicely. The list of updated options and features goes on and on, including beat mapping, new input busses, real-time rendering and much more. The intuitive interface makes handling all these features pretty easy, especially with all the useful tutorials on YouTube available for any possible problems. 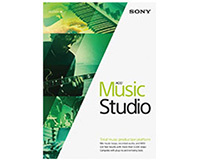 Sony has proven that they still know how to make a good piece of music creation software. New users will find Acid as a solid beginner platform for mixing and recording, and the new version will certainly attract the older ones that used this program 15 years ago. At around $50, it’s definitely a solid investment. 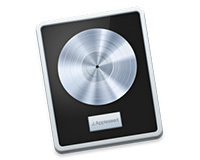 When it comes to recording software for Mac, it doesn’t get much better than the Logic Pro. If you’ve used Garageband but felt you needed more, Logic Pro probably has it. Appealing and packing a lot more than at first glance, the interface shows that Apple knows how to make a good recording studio software pack. It’s advanced enough to offer a layer of more in-depth controls but organized at the same time so it doesn’t look overly cluttered. Getting around in this DAW is very easy, even by just using the mouse. The mixer, instrument layering, MIDI controls and plug-in manipulation can all be done without using the keyboard. Following the trail of Garageband, Logic Pro offers a bunch of natural sounding drum kits, as well as an arpeggiator that sounds way better than most other programs. The huge community around this DAW is responsible for numerous new and updated plugins posted almost daily on the forums, making this program future- proof. With a huge sound library that’s included, you have a good foundation for any midi controllers you may want to use. As many professional studios rely on Apple hardware, Logic Pro has quickly become the recording studio software standard. Not only is it a solid choice when it comes to midi software, but it also provides a clean yet extensive environment for in- depth mixing and producing. 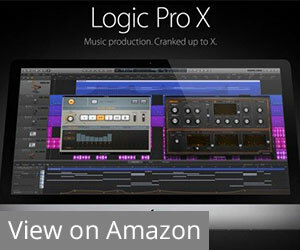 Unlike most Apple products, Logic Pro is relatively affordable, at around $200. Like the previously mentioned Sony Acid, Ableton Live has been around for quite some time. Did it manage to evolve and adapt to one of the best DAW options now, in 2017? 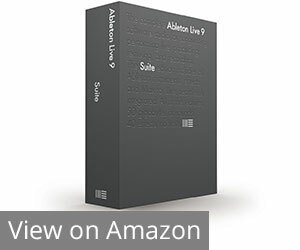 If you have experience working in music making software packs but want to try something different, go for Ableton Live. It simply has all the needed features wrapped in a nice and intuitive interface. The standard multi-track recording offers unlimited MIDI and audio tracks, making Ableton suitable for just any project. Seamless MIDI sequencing is probably what sets Ableton apart from most other competitor programs. The way it handles mapping multiple MIDI devices with controls, parameters and sound banks is simply amazing, as it’s hardly going to misinterpret what you wanted to do. The fact that it offers premium stability and control makes it the best beat making software for live performances. Managing to provide very demanding users with premium features for this many years isn’t easy. 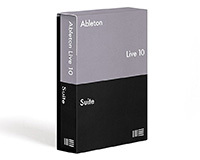 However, Ableton Live is still considered as one of the best DAW solutions for both the studio and stage work. Finally, at number 10, we have Propellerhead Reason. Much like Cockos Reaper, it’s not that well known. However, we’ve seen that even the less famous companies can make a great DAW. Stability and usability are what Reason is all about. Simple drag and drop functions make synth patches and applying effects a piece of cake. As it’s not very resource- demanding, running it on a slightly less powerful computer shouldn’t be a problem. When it comes to the users that it’s intended for, we would say it balances functionality and simplicity quite nicely, not so easy for absolute newbies, but more than enough for more advanced users. Mixing is done in no time with their well- designed mixer interface, and it also includes speaker and amp plug-ins perfect for recording guitar. A unique feature of auto splicing audio files makes this DAW pretty unique. Though it sometimes doesn’t behave like we intended it to. 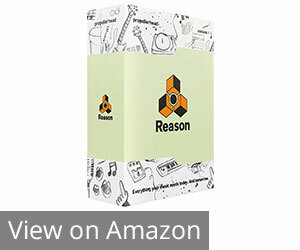 Propellerhead Reason does a good job when it comes to MIDI support, so using your pads and devices isn’t a problem. 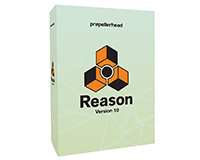 It’s clear that Propellerhead did a very good job in designing Reason, as a well rounded DAW capable of great performance. For just under $400, you’ll be getting a solid mixing program that will do the work for many years to come. As a very important part of producing, recording and mixing, the software allows you to easily realize your ideas while offering you a myriad of useful features and options. A common word in the world of music recording software is “DAW”. What is a DAW? It’s a simple abbreviation for “Digital Audio Workstation”. It is an environment designed for combining your talent, skill, and ideas into a final piece of work. Both professional and amateur studios rely on DAWs when working with audio. There is, of course, the option of using analog devices, such as synths and drum machines, however, using good music production software lets you have all that and more, in a practical, digital format. While there are certain standards all of the mentioned software packs meet, you should pay attention to the following features and specs, in order to get the most out of the music maker software you choose to work on. As there are extensive courses on using different music software packs, it’s clear that they can be a bit hard to get used to. If you consider yourself a beginner, your best bet would be to try out some more basic options. With a lot of different features, complicated UIs, it’s easy to get lost and feel demotivated. On the other hand, if you’re experienced enough, more complex programs should do the trick. We’ve covered some of the DAWs that top music producers use, so it’s just a matter of finding the one that has all the necessary features and options. Going for the simplest solution means that after a couple of months, you’ll probably need more from your software. Think about the most important tasks you need the DAW to perform for you. A great feature many DAW software packs offer is the ability to toggle between basic and more advanced options. That way, you can learn gradually, taking one step at a time, and still have a decent environment to work in after you’ve progressed. Though most music program packs offer a good interface for live performances, some do it a bit better than others. If you need a program through which you are easily able to control various MIDI devices, instruments, and pads, there are specific ones that make the job a piece of cake. At the end of the day, you’ll be able to do that as well as studio work in any program, it’s just the matter of getting used to the software. If you want the best music production software, you will have to spend a decent amount of money. There are some free DAW software packs available for download, but in our experience, they seem to work just for the basic audio editing needs. It’s always better to wait, and save up more money for a program you deem better for your needs. Most companies give you a free trial to try out the software before you buy it. As we’ve seen there really are different options to go with when it comes to the best music production software solutions. However, there are some DAWs that do the job better than the others. 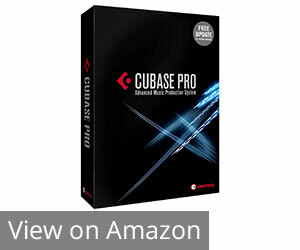 The best recording studio software in our opinion is Steinberg Cubase. The fact that it handles multiple inputs without any problems makes it the go-to for any studio focusing on recording. Music software for Mac doesn’t get any better than Apple Logic Pro, which we’ve explained why in the review. 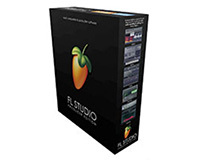 If you’re looking for a beat making software, Fruity Loops provide an excellent platform for that. As far as free music recording software goes, Presonus Studio is your best bet. Don’t think less of the other DAWs we reviewed but didn’t mention in this conclusion, as they are also very good and focus on certain aspects some of you may find crucial. There you have it, we hope that reading this article cleared things up for you, and helped you in choosing the best music production software for your needs. Thanks for reading!